Film about iconic Catalina Grand Prix secures theatrical distribution for fall 2019 release. And the website is live now. Gathr Films in Los Angeles cites success of filmmakers’ earlier motorcycle release PENTON: The John Penton Story for their decisions to take on the new film. Fullerton, CA (January 22, 2019) – Following the success and critical acclaim of Director/Producer Todd Huffman’s and Pipeline Digital Media’s (PDM) last feature length film PENTON: The John Penton Story in 2014, Gathr Films will add the newest film, THE RACE RETURNS: The Story of the Catalina Grand Prix from PDM to its lineup for a fall/winter release in 2019. Gathr will include the new film as part of it’s unique “Theatrical On-Demand” system of distribution to get the film in front of motorcycle enthusiasts and dealers across the country. PDM has also launched the film’s website to begin building interest for the public and dealers interested in hosting a screening through Gathr Film’s extensive network of first run movie exhibitors. 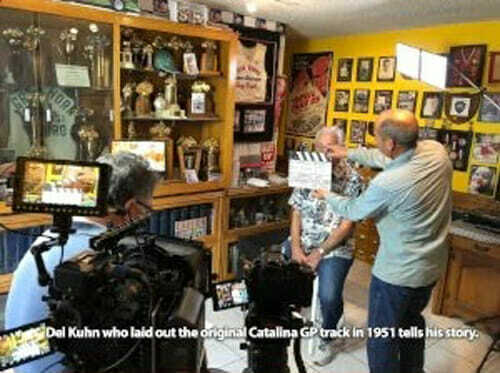 ”THE RACE RETURNS: The Story of the Catalina Grand Prix is a feature-length documentary film covering the entire history of the Catalina Grand Prix from the early 1950’s up through its once-in-a-lifetime return in 2010. The race originally ran from 1951 through 1958 and then was cancelled for a variety of reasons. It was brought back in 2010 by a group of passionate motorcyclists and clubs and was attended by riders of all ages, skill levels, disciplines, etc. 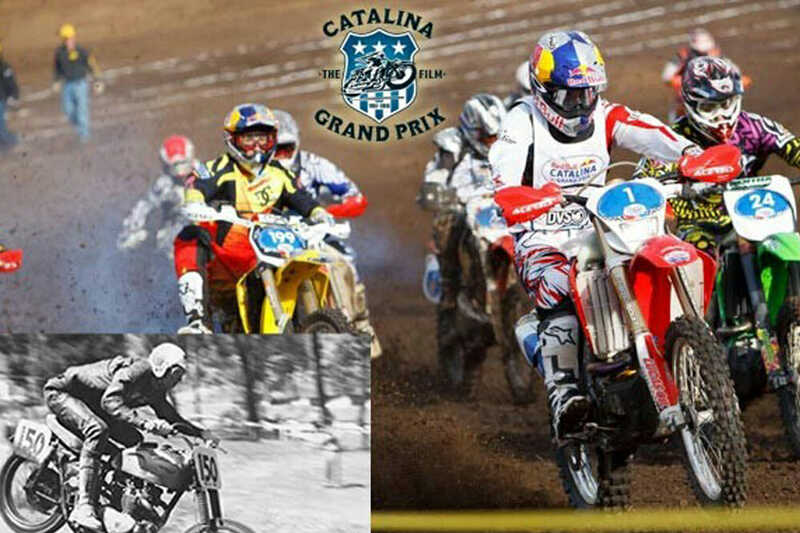 It was also a showdown of two professional champions who would race each other for the first time that year: KTM’s Kurt Caselli and Honda’s Kendall Norman. The film will include over 75 interviews of riders, manufacturers, spectators, etc. spanning almost 70 years. Interviews already shot include Del Kuhn, Malcolm Smith, Dave Ekins, CJ Wheat, Ricky Johnson, Johnny Campbell, Kendall Norman, Travis and Lyn-Z Pastrana, Nancy Caselli, Anthony Di Basilio, Cameron Steele, Gary Bailey and retired Los Angeles Police Chief Charlie Beck. It is being produced and directed by Todd Huffman and Kevin Ward with Ward assigned Director of Photography duties. Kevin Ward has been DP on both of the definitive films on the Baja 1000, Dust to Glory (2003) and Dust 2 Glory (2017). He also served as DP on Todd Huffman’s and PDM’s Epic Ride television series for Speed in 2007-2008. The goal is to have the film ready for the Catalina Film Festival in late September and then released with Gathr for the fall/winter of 2019. A trailer will be ready for spring of 2019.